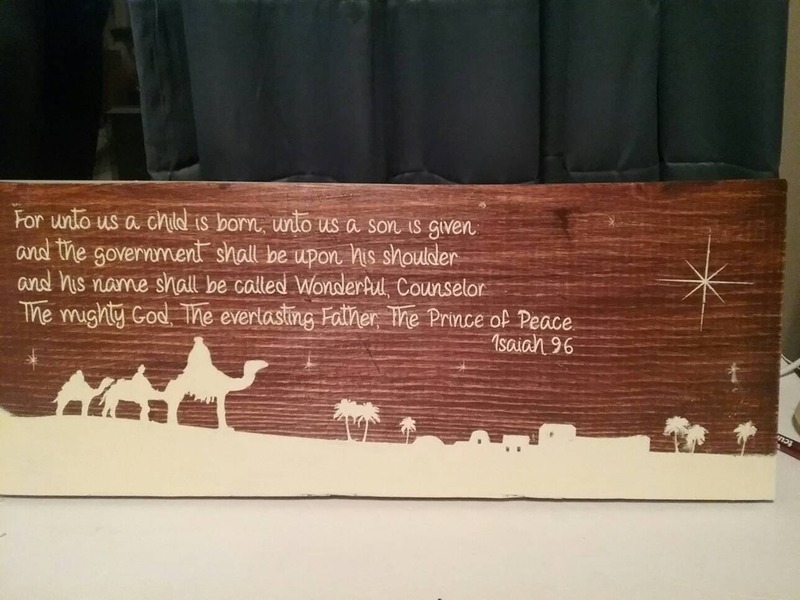 The Birth of Jesus Christ Isaiah 9:6 Prince of Peace, Wonderful counsellor wooden sign is a great piece. Featuring Isaiah 9:6 bible verse in antique white. Great for gifts or your own home or a gift for famiky or friends. 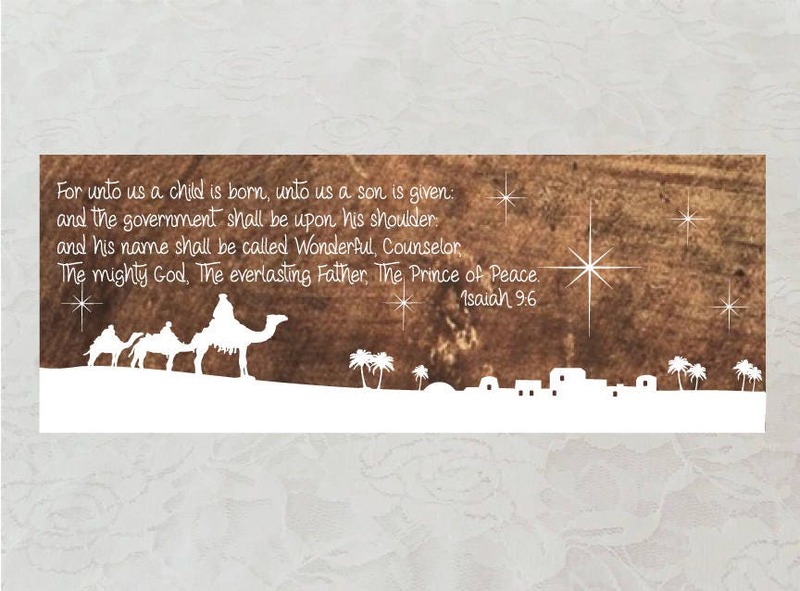 Personalize this real wood sign with your favorite verse of the birth of Jesus. 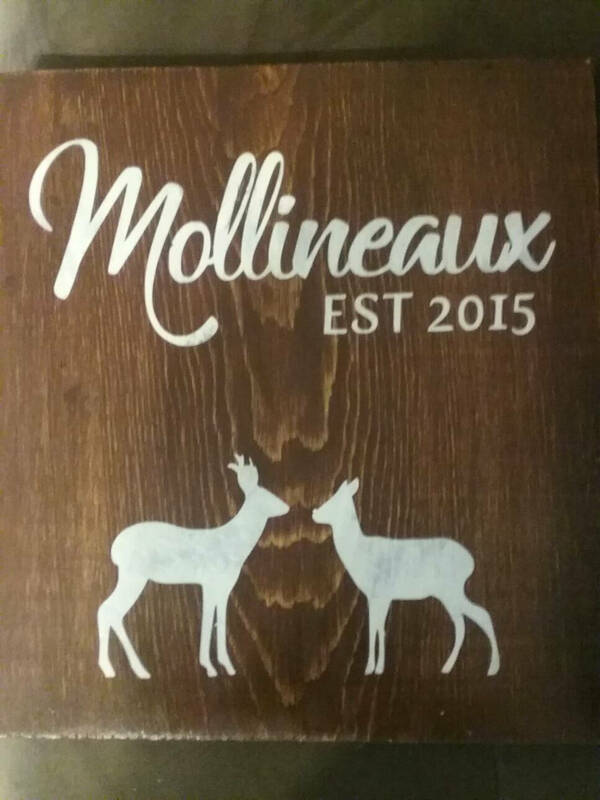 This sign is made of real wood. Measures 8 x 18. Wood is stained and sealed. Imprint is hand painted and sealed again for better protection. Wall-mount included on the back for wall hanging. My goal is to bring a little light into the world.